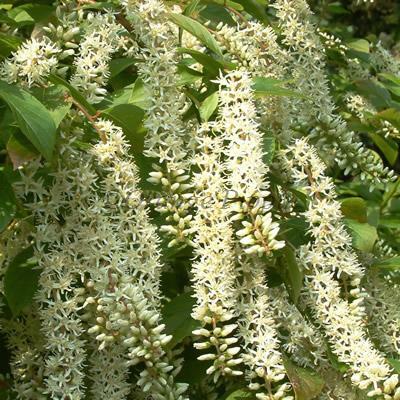 Itea ilicifolia or Holly-leaved sweet spire is an evergreen shrub ideally grown against a wall or trellis. This delightful shrub has small, glossy green, 'holly-like' leaves and produces long, drooping, catkin-like, honey scented, greenish-white flowers during the summer and autumn. Itea ilicifolia is native to Western China.